A list of YouTube tools to help get schools and teachers started creating their own channel and videos. Vibby is a social video annotation and indexing platform. It enhances the way web video content is distributed, consumed and shared by enabling content creators and users to highlight, tag, discuss and share fragments of video content. quietube: Video without the distractions. Watch YouTube videos without comments, ads, related videos, or any other distractions. It\'s great for teachers, parents, and organizations alike - or really, anybody. Create beautiful movies on the go with YouTube Capture 2.0. Start recording in a snap, then edit and share videos of any length right from your phone. Not only does SafeShare.TV remove distracting and offensive elements around YouTube videos, but it also allows you to crop videos before sharing them. KeepVid: Download online videos from Youtube, Vimeo, Twitch.Tv, Facebook, Dailymotion, Youku, Tudou, Metacafe and more! Download online videos from Youtube, Vimeo, Twitch.Tv, Facebook, Dailymotion, Youku, Tudou, Metacafe and more. Simply copy and paste. Turn Off the Lights is a browser extension that lets users obscure everything on their screen except the Flash or HTML5 video they're watching. Cakey provides a safe place for young children to watch YouTube videos. Parents have complete control over which videos children have access to. Children feel empowered being able to navigate themselves back and forth between different video collections without asking for help or permission from their parents. Parents have the ability to add ANY video from YouTube, not just from a restricted set of videos. Press a download link, play button, or video thumbnail image. Convert YouTube videos to MP3 with cover art & ID3 tags automatically fixed! Easily download high quality music fast & free with this online conversion tool! Watchkin lets you watch youtube videos without all the distractions of related videos and comments, and creates a safer viewing environment for families. SimulChat allows you and a friend to watch movies together while talking. It keeps the movie in sync. Perfect for long distance relationships and family that live far. 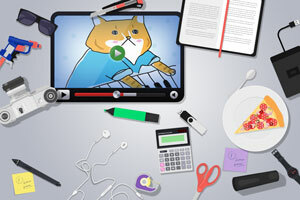 Select and download best parts of any YouTube video using this simple tool. Create completely new and awesome videos. quietube: Video without the distractions. Take all things off the video page to show your class without all the noise. You can now download YouTube videos for offline viewing on iPhone, iPad, Mac, PC. And it's all for FREE.